With the Easy Astrology Oracle Cards, you’ll finally learn the basics of astrology and will even be able to give readings to others.These cards are also an amazing oracle which will provide you with guidance and insights similar to tarot, only in the language of astrology. 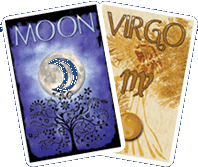 The Easy Astrology Oracle Cards will help you to gain confidence, clarity, and understanding in basic astrology. You can also quickly learn to give intuitive readings to others. Learn to Give Astro*Oracle Readings! 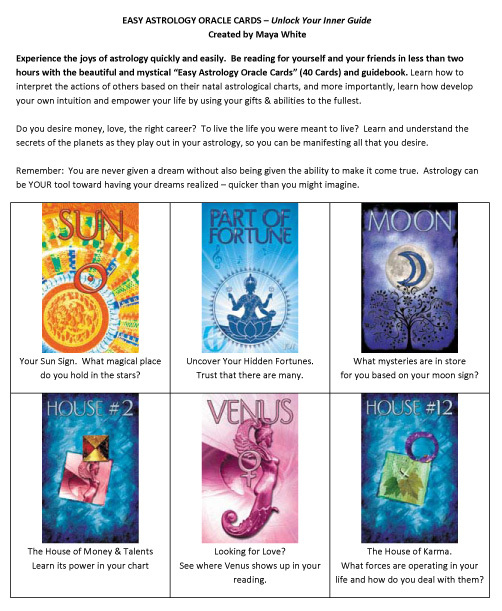 Easy Astrology Oracle Cards. You will finally understand the meanings of the astrological houses, planets, and 12 signs. Learn about the asteroid goddess Ceres, and the wounded healer Chiron. Explore the Part of Joy and the Karmic North and South Nodes. Meet master planet Jupiter and understand his strength and dignity. In this workshop you will easily master the consecutive order of the 12 signs, Aries through Pisces, and truly understand them by element and quality. You will learn to quickly analyze human relationships through the sun signs. This gives you valuable tools to carry into your daily life. 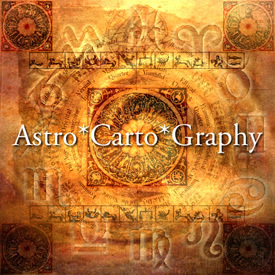 And, best of all, the Easy Astrology Oracle Cards and Guidebook makes astrology fun, and – EASY!